Copyright: Entrants will retain copyright in their submitted entries but grant Congregational a worldwide royalty-free licence to edit, crop, re-size, publish and use each entry in any and all media for publicity and marketing purposes related to the promotion of this competition for a period of no more than 5 years. Who can enter: Open to UK amateur photographers only. 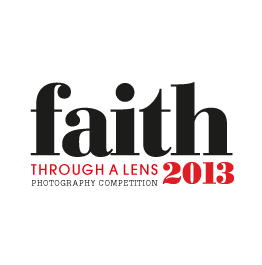 The judges will be looking for the photograph that best encapsulates faith and the community. Judging criteria: emotional connection, creativity and originality. Image requirements: High resolution JPG image, up to 8 Mb in file size. Online submission of digital photographs via the website. A maximum of 2 photographs may be submitted per entrant into the Competition. Subscribe to our mailing list and get new photography competitions to your email inbox. We hate spam. Delivered by Google. Disclaimer: We have attempted to select useful information to include on Photocompete.com, and to ensure that the resources we have included on the site -- as well as the way we have described them -- are accurate, fair, and balanced.